The Largest Settlement Award is bestowed upon the attorney or firm that has acquired the most substantial monetary figure by means of arbitration. Without stepping a foot in front of a judge, these attorneys can close their client’s case using compelling pre-trial tactics. Attorney Nicholas Rowley, along with the partners of Carpenter, Zuckerman, & Rowley, are this year’s winners. With his $45 million-dollar settlement achieved off a $250,000 policy, Rowley represented a 4-year-old girl who was involved in a major traffic collision. Her injuries resulted in fractures to her skull, virtual loss of hearing in her right ear, and significantly weakened sensation on her right side. Dealing with an unresponsive insurance company and facing an uphill battle, the reputable CZR Attorney was called in by the client’s original counsel to aid in settling the case. Multiple visual presentations of damages were created by the DK team and exhibited to the insurance company, compelling them to settle pre-trial in our largest settlement of 2017. It was a privilege to have been able to support this firm with visuals for this deserving little girl and her family. 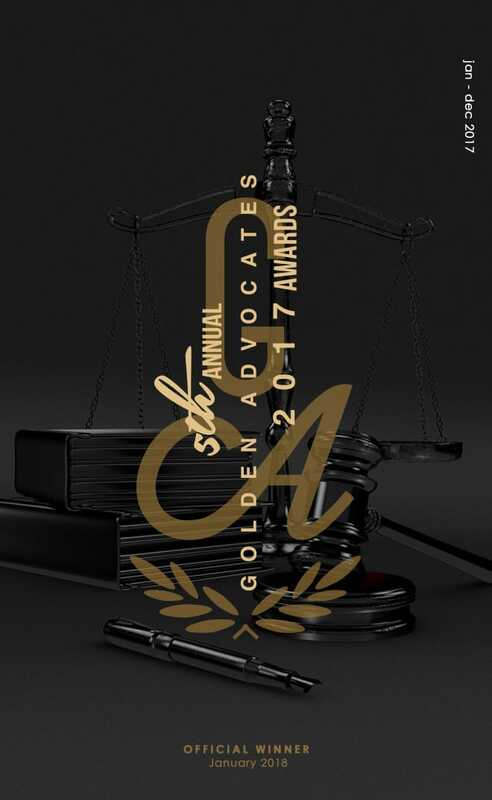 We congratulate Nicholas Rowley on winning his second Golden Advocate Award and commend the attorneys of Carpenter, Zuckerman & Rowley on this extraordinary settlement!